I was ask to create this post, since nobody is helping my ticket in game, it haves like 1 week without being answered. 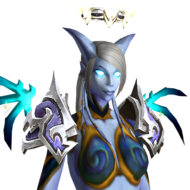 I did level up my lightforged draenei from 20 to 110 and i did not received my heritage armor, pls help! You get a quest to get the armor. Did you do the quest? No, i havent get the quest i go daily to the vindicaar and nothing happens.